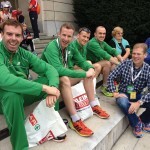 The garda team placed eighth, the highest scoring Irish team ever, at the Sixth USPE European Police Championships Marathon writes Ian Redican. 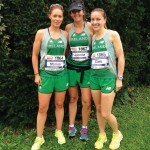 In June 2014, Garda AC runners made the qualification standard in the Garda Half-Marathon Championship, for the opportunity to compete in the Sixth USPE European Police Championships Marathon in Graz in Austria. 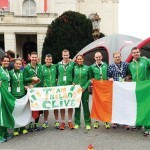 On October 10th 2014, four men and three women; Clive Glancy, Ronan Hartnett, Jason Miley, David Craig, Marion Doherty, Clare Sutton and Joanna Cullen, departed Dublin for the sunny mountain climes of Austria in the company of myself, Coach Redican, as they christened me. 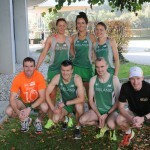 Attention would turn to Sunday 12th, 10am Austrian time and where our seven athletes would figure in the leader board. 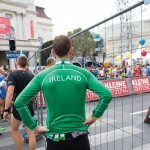 At 9am 12,000 runners were accumulating on the streets of Graz and the apprehension was palpable Among them, over 140 police officers, but not only that…. top calibre performers. International colours dominated the front of the start area. 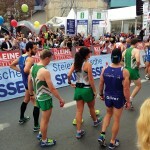 Pushing hard Ronan ‘Builder’ Hartnett set out on the streets of Graz, alongside the top bunch of runners. Through the 4km mark, his unforgiving gladitorial stride swept through the Straßes. Following behind but with a more cautious opening, the newly formed tag team of Miley and team captain Glancy pursued the initial group with watchful eye. The fourth man in the Irish attack, Craig was executing his own attack as per the Irish blueprint. Through 4km, Doherty and Cullen struck an early partnership as they passed through, looking quite smooth and fluent. Sutton followed though dispelling the early nerves and looked in the zone for a serious attempt at a good police marathon time. Commented upon and admired by all, the green singlet stood out in the rising temperature. The sleek looking Irish in their classy shirts and their warm friendly demeanour were winning the popular vote on the streets. IRELAND…. GO IRELAND…. 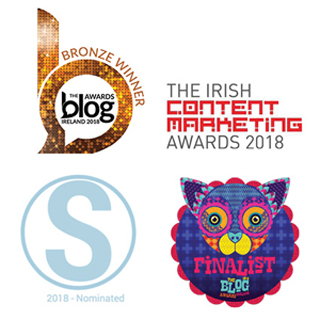 IRELAND SUPER…. 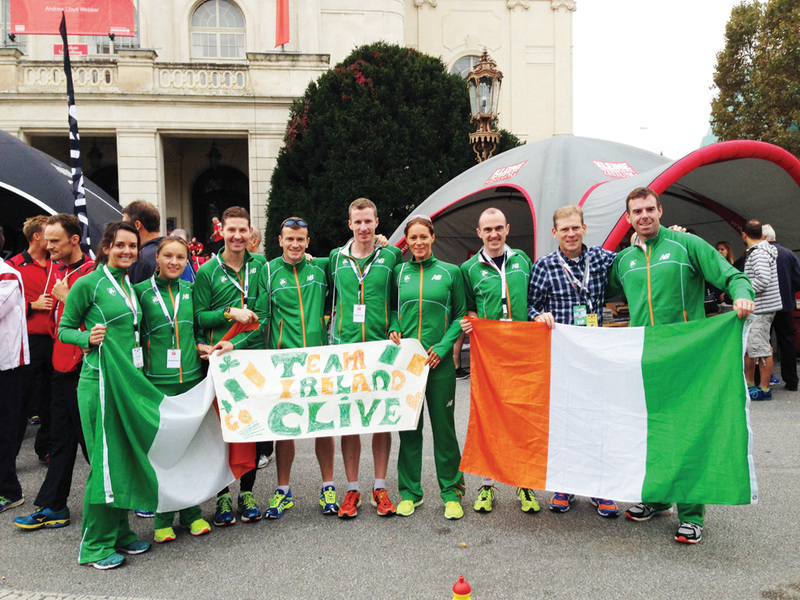 OOOP OOOP IRELAND echoed and repeated throughout the 42.2km course. At 11km it was time to get some serious fluid onboard. One by one, Hartnett, Glancy, Miley, Craig, Doherty, Cullen, Sutton received instruction in the middle of chaos… We were looking comfortable and nicely placed at this point. At 28km Glancy was a powerhouse; his focus and determination was impressive. Attention moved temporarily to 30km for logistical purposes where Craig was pursuing a three hour attempt in the hot midday sun, and looking in complete control. At the final point on the course PB’s were definitely on the cards as the appearance of the green singlet of Glancy rounded the corner. He swallowed the final 2kms and spit out an awe inspiring PB of 2:39:47. The captain had delivered and the troops were following behind. Our second man home Miley, and also in PB mode, roared across the finish line in a superb 2:41:38. Hartnett was our third man in. In the draining heat of Graz, he refused to bow to the sun’s effects; the ‘Builder’ crossed the line in an impressive 2:50:32. Our fourth man, Craig, settled into a pace in the early kilometres and his reward was a personal best of 3:01:49. 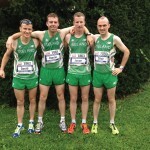 His gutsy determination and steely race plan, carried out and executed to the letter, meant the four runners were the highest scoring Irish team (placing eighth) ever in this sixth running of the 20 year old USPE competition. 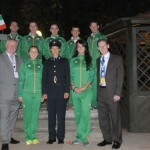 The seven strong Garda/Irish team were the envy of Europe for the unity and team spirit they displayed in Graz. Our USPE representative Paul Moran told the team how he had received so many compliments and words of admiration for the fun, friendliness and professionalism the Irish team brought to the tournament. Fast forward to 2018 and let’s add ‘medal winners’ to the comments the other countries will be making about Ireland.